'Mary Magdalene' tells the story of Jesus as seen through the eyes of his most loyal follower. From Jesus Christ Superstar to The Last Temptation of Christ, the cinematic story of Jesus has been told over and over again. Well, director Garth Davis (Lion) has found a fresh angle to the timeless tale. He tells it through the eyes of Christ’s sole female follower in the appropriately titled Mary Magdalene. 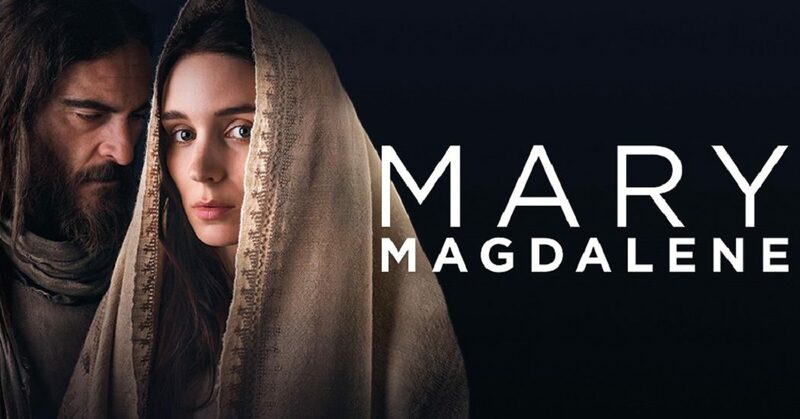 Mary Magdalene begins with Mary (Rooney Mara from A Ghost Story and The Girl With the Dragon Tattoo) living in the fishing village of Magdala where she suffers from emotional and physical stress (resulting in the “exorcisms” mentioned in the Gospel of Luke). Her life changes when she meets the charismatic Jesus Christ (Joaquin Phoenix from You Were Never Really Here and The Sisters Brothers) as he passes through her town spreading his preaching of God’s kingdom over Herod’s kingdom. Seeking purpose in her life, she follows him, joining up with his twelve disciples and becoming an essential part of his mission. She stays with Jesus through his betrayal, his crucifixion, and his resurrection. So basically, Mary Magdalene is the same old story of Jesus, only this time, it’s filtered through one of his most ardent and loyal followers. Rooney Mara’s Mary is undoubtedly the lead in the film, and even characters like Peter (12 Years a Slave’s Chiwetel Ejiofor) and Judas (A Prophet’s Tahar Rahim) overshadow Christ at times. The unique approach that Garth Davis takes to the familiar Helen Edmundson (An Inspector Calls)/Philippa Goslett (Little Ashes) script manages to breathe new life into the old scriptures. The film does a bit of myth-busting along the way as well. Mary is not a prostitute as she is so often portrayed, but is seen as an equal to the apostles, an important cog in Jesus’ machine as she helps him get his word out to the women on his journey. His apostles, while they obviously love and admire Jesus, sound more like soldiers than messengers, following their chosen one and spreading his gospel in hopes that they will someday be one with God. They seem earnest, but a bit selfish, and not incredibly zealous about their mission. And the character of Judas is treated with an especially sympathetic hand. 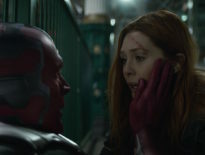 While Mary Magdalene is no The Passion of the Christ, it is hard to watch at times, mainly because of the predictable brutality of Jesus’ trial and crucifixion (which is foreshadowed in an ominous scene where Peter and Mary stumble across the site of a previous crucifixion – “Romans! We must be careful!”). 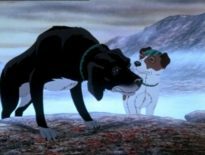 Even with these powerful moments, the movie lacks a certain spark that could make it truly great. Sure, the locations are beautiful and the cast is top-notch, but there’s an air of restraint that hangs over the film, keeping the viewer hoping for a small miracle, yet destined to ultimately be disappointed. To its credit, Mary Magdalene never gets overly preachy with its subject matter. Of course, the teachings of Jesus Christ are the backbone of the narrative, but the focus is on Mary, and while she is incredibly honest and believable as she speaks the gospel, the underlying message is never heavy handed or overly persistent. It’s just a story, one that is widely known, but told from a different perspective.